Created to immerse our guests in an authentic Costa Rica rural mountain experience, Santa Juana Lodge takes you back to a simpler time, far from the stressful life of the modern world. Life in the jungle-covered slopes of the Central Pacific Mountains revolves around an agricultural tradition and the simple adventures of hiking, waterfall swimming, horseback riding, and exploring the nature reserve. 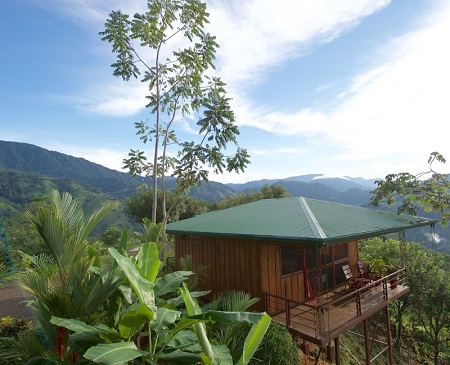 This is an exclusive retreat, with beautifully appointed, freestanding cabins along the crest of a hillside ridge, each with panoramic views of the Pacific Mountain Wet Forest against the backdrop of the Pacific Ocean spanning the horizon. Santa Juana is staffed by residents of the tiny Pueblo of Santa Juana. 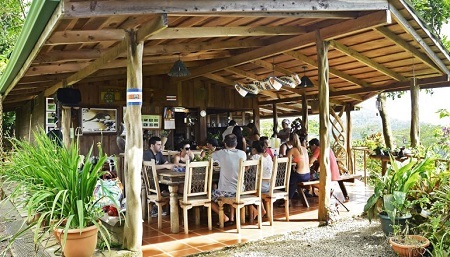 You’ll delight in their hospitality, enjoy delicious local food prepared in the traditional ways of the Costa Rican campesinos, and drink deeply of that most elusive commodity in our busy, hectic world — genuine relaxation. Offer is based on single or double occupancy in a Casita. Breakfast, Lunch and Dinner From El Mirador menu of authentic Costa Rican recipes (non-alcoholic juices).